What it is: Step 3 in Clinique's customized 3-Step Skin Care System. Dermatologist-developed face moisturizer softens, smooths, improves. Leaves skin glowing. 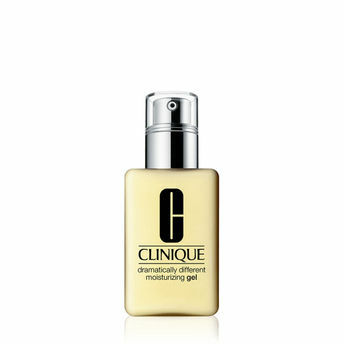 - Combines oil-free hydration with skin-strengthening ingredients. - Slips on easily, absorbs quickly. - Balances and refreshes oilier skin types. The secret's in the system. Clinique's revolutionary 3-Step Skin Care System was created by a celebrated dermatologist. It’s simple, customized and takes just three minutes, twice a day: cleanse with Facial Soap, exfoliate with Clarifying Lotion, moisturize with Dramatically Different Moisturizing Lotion+ or oil-free Gel. Explore the entire range of Moisturizer available on Nykaa. Shop more Clinique products here.You can browse through the complete world of Clinique Moisturizer .